Over the holidays I stopped by the Mazda dealer to check out the latest CX-5 with the 2.5L Turbo engine. The engine, which was in the much larger CX-9 has been added to the two top trim levels of the CX-5. This is something that was not available when we purchased our CR-V back in 2017, so I felt I owed it to myself to check it out. 1) Looks significantly smaller than the CR-V on the outside. (Specs show it's only a few inches smaller in length and height). 2) Has nice styling, very elegant, vs the CR-V tries to look a bit more rugged. 3) 19" Wheels are very attractive. 4) Low profile tires help give the CX-5 a sporty look. 1) Interior feels a lot smaller than the CR-V. Passenger volume is about the same, cargo volume is about 8 cu.ft. less. 2) The Nappa leather is really nice. 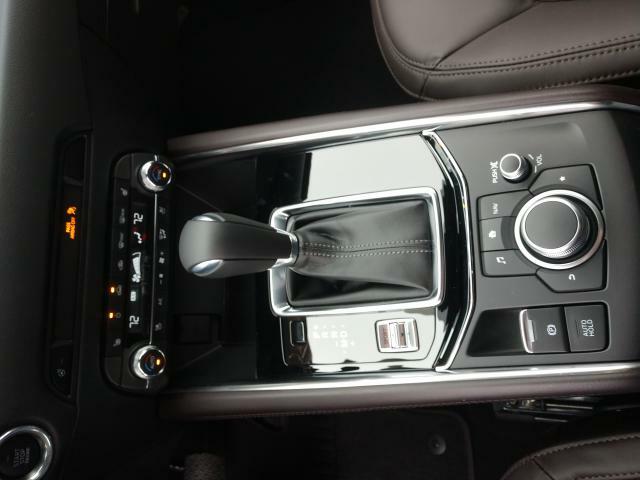 3) Layout (ergonomics) not as nice as the CR-V. For example, the location of the shifter is very traditional. I like the way Honda has very efficiently laid out the center console area. 4) Why do manufacturers all want to put gloss (piano) black finishes in a car? It scratches easily and always shows dust. Looking past that, the controls seem a bit bunched together on the center console but I do like all the buttons for the climate control. If there is one complaint I have with the CR-V, is that you need to use the touch screen to select some of the climate control settings. Honda did a much better job in the 2018 Accord. 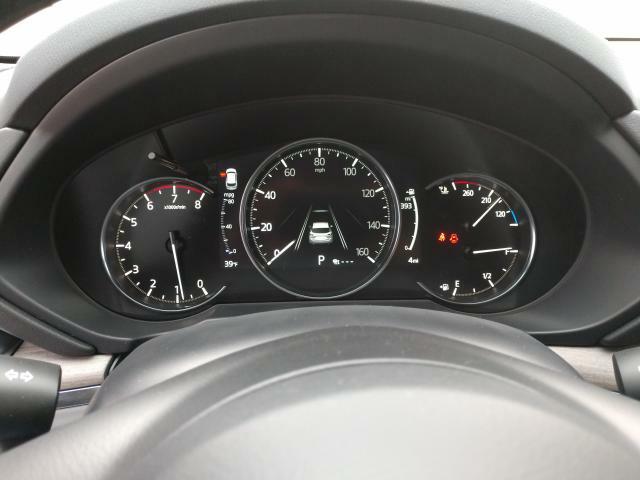 5) I prefer the digital instrumentation in the CR-V, the CX-5 just has a digital center gauge. 6) The back seats have much less leg room than the CR-V.
1) Suspension is stiffer, bouncier. You can really feel that shorter wheelbase and the low profile tires. I don't mind a stiffer suspension if it means better handling. However, checking the specs on C&D, the CR-V actually beats the CX-5 in all the handling and braking tests. 2) I expected the engine to feel more powerful. The CR-V has a 1.5L Turbo, churning out 190hp, mated to a CVT. The 2019 Mazda has a 2.5L Turbo, churning out 227hp (per the window sticker) mated to a 6-speed auto. The engine did feel a bit faster but not as much as I expected, not anywhere near the feeling of power I get in my 2018 Accord 2.0T. It's interesting that C&D rates the CX-5 2.5T as having 250hp, when it was clearly printed by Mazda at 227hp on the window sticker. Mazda has had issues in the past with overstating the HP numbers, maybe they backed off on the numbers to represent what you are really getting on 87 octane fuel. 3) The controls for the Active Safety features were ambiguous, I had a difficult time knowing if I had LKAS on/off, ACC on/off. 4) Mazda's idea of LKAS assist is different than Honda's. In the Mazda, the CX-5 LKAS didn't try to keep you in the lane, instead it waited until you left the lane and would steer you back into the lane. Even though that seemed more like the RDMS, the salesperson said that's the LKAS feature. I was confused but okay, if you say so. 5) On the highway I noticed more wind noise than on our CR-V, but a bit less engine noise. 6) The ventilated seats were really nice. 7) Fuel economy isn't as good, but then again the engine has 66% more displacement. Even though the salesperson said the CX-5 has cylinder deactivation, the MPG is probably about right given the larger engine. 8) Mazda includes a HU display so you can see digital info floating in front of you out in space. It's a nice thing, Honda put it in the Accord, but it's by no means a necessity for me. The C&D as tested price on the top of the line CX-5 Signature is $39,155, compared to the CR-V Touring's $34,595, that's a difference of $4,560. For that you get the larger 2.5T engine with more power, a heated steering wheel, ventilated seats with Nappa leather, and a HU display. For me, I couldn't see spending the extra nearly $5k for the added features and what felt like only a bit more power. 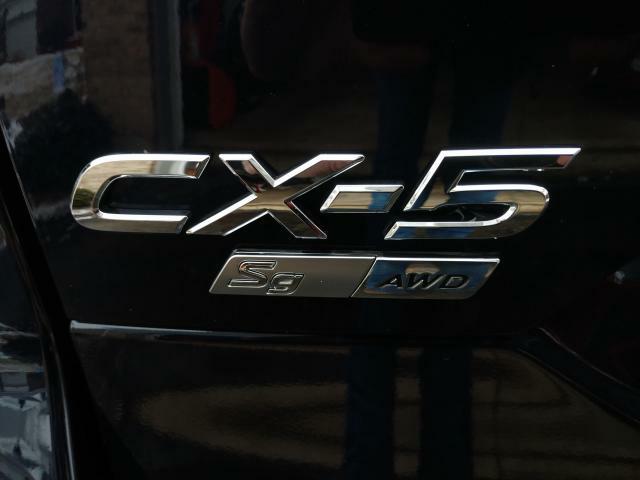 Yes, C&D shows the CX-5 as being more than a second faster 0-60 but I expected the vehicle to feel like it has more power given the acceleration numbers. I liked the Nappa leather but the rest of the interior didn't seem any more upscale than the Honda. I think my 2018 Accord has a more upscale interior than the CX-5 (and it cost $8k less). The driving dynamics felt good, however, the C&D numbers doesn't show them as being better. In fact, the braking is several feet longer on the CX-5. In the end, we really like our CR-V, it's more roomy, quieter, and performs well enough. Sure, I wouldn't mind it if Honda put the 2.0T Accord engine in it, but they needed to save that for the 2018 Acura RDX, which reminds me, I need to test drive one of those. Last edited by S2k_Dude; 12-28-2018 at 10:21 AM. Just an FYI (since I'm still watching this forum but also knee deep in the CX5 forum) the 250 HP is achieved with premium (93) gas. The 227 HP is from standard (87) gas. C&D just posted and review and they achieved 0-60 in 6.2 seconds with the 250 HP. I've ways thought I'd like a head-up display but I'm not an Air Force pilot and have never driven a vehicle with one. Still, I'm intrigued. But we love everything about our 2018 Touring - fortunately no issues at this time, my wife treats it like a car, and it somewhat mollifies my inner truck child. This is Mazda’s first model year with cylinder deactivation, which has been a hard thing for manufacturers to get right (Honda and GM V-6s, for example). And it seem to me at least that applying it to a 4 cylinder engine would be more challenging still. This in and of itself would make me steer clear of a 2019 MX-5. "You can really feel that shorter wheelbase"
- The CX-5 actually has a longer wheelbase than the CR-V.
"checking the specs on C&D, the CR-V actually beats the CX-5 in all the handling and braking tests." - The CX-5 takes 7 additional feet to stop from 70 MPH. - Skidpad results are slightly lower for the CX-5, due to "an intrusive stability-control system hampered its performance." 99% of buyers would never drive the car aggressive enough to be bothered by this. Suspension is stiffer, bouncier. I don't mind a stiffer suspension if it means better handling. The driving dynamics felt good, however, the C&D numbers doesn't show them as being better. Didn't seem any more upscale than the Honda. - C&D states..."It is prettier inside and out, more refined, and more engaging to drive than crossovers such as the Honda CR-V and Toyota RAV4." - "This all adds up to a vehicle that can hardly even be considered in the same conversation as Toyotas and Hondas anymore. Frankly, the CX-5 Signature is nicer—to drive, to look at, and to sit in—than some similarly sized crossovers with full-on premium badges." "I expected the engine to feel more powerful." - The new CX-5 performs SIGNIFICANTLY better on ALL acceleration tests. I don't believe there is anything in this segment that even comes close to the CX-5 performance figures. "On the highway I noticed more wind noise than on our CR-V,"
- C&D describes it as..."The CX-5 is satisfyingly hushed at speed"
"Compared to the CR-V Touring's $34,595, that's a difference of $4,560." - Either your pricing is off or you're not comparing apples to apples. - The CX-5 Signature AWD is $37,885. The CR-V Touring AWD is $35,145. A price difference of $2,740. I think the salesperson might be mistaken, according to Mazda the base engine uses cylinder deactivation but they don't mention it in the turbo motor specs. I wonder if the CR-V HP would also increase on premium fuel. The 2.0T Accord engine puts out another 11HP on premium fuel per Hondata. Also, I would be curious to see a dyno plot of the CX-5, Mazda has a history of overstating HP numbers on their vehicles. However, lately, Honda owners have been reporting higher than expected HP numbers when the cars are put on the dyno. I'm sure the dealer didn't put premium fuel in their test drive vehicle, and it's possible that there is a smaller difference than the numbers show. I agree, the C&D 0-60 number for the CX-5 is more than a second faster than the CR-V so I have no doubt the CX-5 should be significantly quicker to accelerate. The test drive just seemed a bit disappointing compared to my 2018 Accord which has a similar HP rating (although the Accord's engine is smaller and runs on 87 octane to achieve it's 252hp rating). If the 2.5T has cylinder deactivation, it was very seamless. 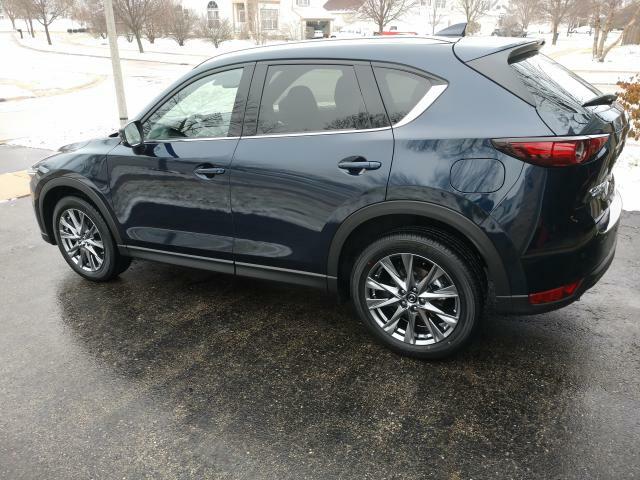 You are right, I just assumed the wheelbase is shorter based on how the CX-5 rides. So, even though the CX-5 has a longer wheelbase, there is less legroom in the cabin as well. In a bad situation, 7 additional feet to stop could mean the difference between hitting or not hitting the car or an animal that jumps out in front you. As for 99% of owners not using a vehicle's full capability, that can certainly be said for any performance measurement. These days, many cars in the $30k-$35k have nice interiors. I think we are getting into some very objective opinions when it comes to what looks better or feels nicer. For me, the CX-5 exterior is nice, as is the interior, but to me they are more so just different, not better or worse. I personally prefer the interior in the CR-V (and the new Accord) but I'm not saying the CX-5 is worse in any respect. Certainly the leather seats in the CX-5 are made from a nice grade of leather which certainly adds to the luxury feel of the cabin. I'm going to stand my ground on the piano black gloss finish though, all brands could loose that IMO. Again, I agree the acceleration numbers are all better than the CR-V, I just expected more. Guess my expectations were just too high. Obviously, Honda has raised the price of the 2018-2019 CR-V, so if we use your number, $39,155 - $35,145 = $4,010. Still not a trivial amount to me. Anyone cross shopping the two vehicles, can decide for themselves if the extra $4k is worth it to them. Don't even get me started on how much more Mazda branded vehicles depreciate compared to Honda branded vehicles. Last edited by S2k_Dude; 12-29-2018 at 01:28 PM. I actually just picked one of these up this morning. Our CR-V replacement search took us all over the place. We thought we were all set with the 2019 RDX, but my wife was not all that thrilled with it. We saved several $k's and now have a vehicle that, to me, is very close in performance and luxury compared to the RDX. We got a little more than $2k off of MSRP, so ~$36k. Congrats! The 2019 with the turbo is really nice, I like your color choice too. 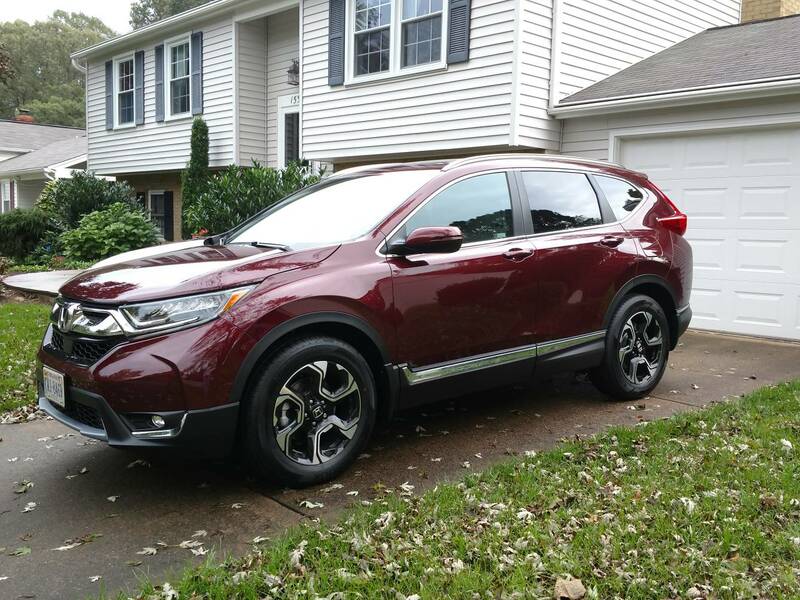 Since it was not available when we purchased our CR-V nearly 2 years ago, I'm not 100% sure which I would have chosen. Like you, I would have liked to also compare the 2019 RDX as well, should have similar power, although I'd say the RDX has even more features, but again the CX-5 is thousands less than the RDX. From a price point of view, the CX-5 seems to fill in that gap between the CR-V Touring and the RDX, very smart of Mazda to position that model there. BTW, it does seem that Mazda is working very hard these days to be competitive with Honda and Toyota. 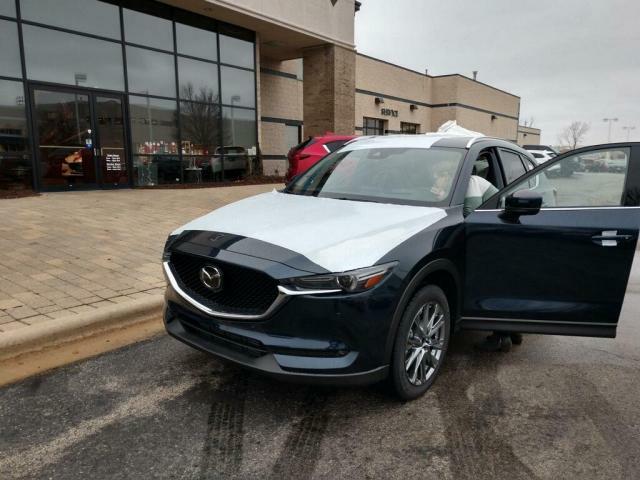 Hope you get many happy, trouble free, miles from your new CX-5. Please keep us updated if you come across any issues. Will 17 CRV 1.5T be able to use flash tunes from the 1.5T Civic for easy power? Honda HRV or Mazda CX-5 or Mazda CX-3 or Toyota Rav 4 ?? ?